I love seeing how my taste in jewelry changes over the years. 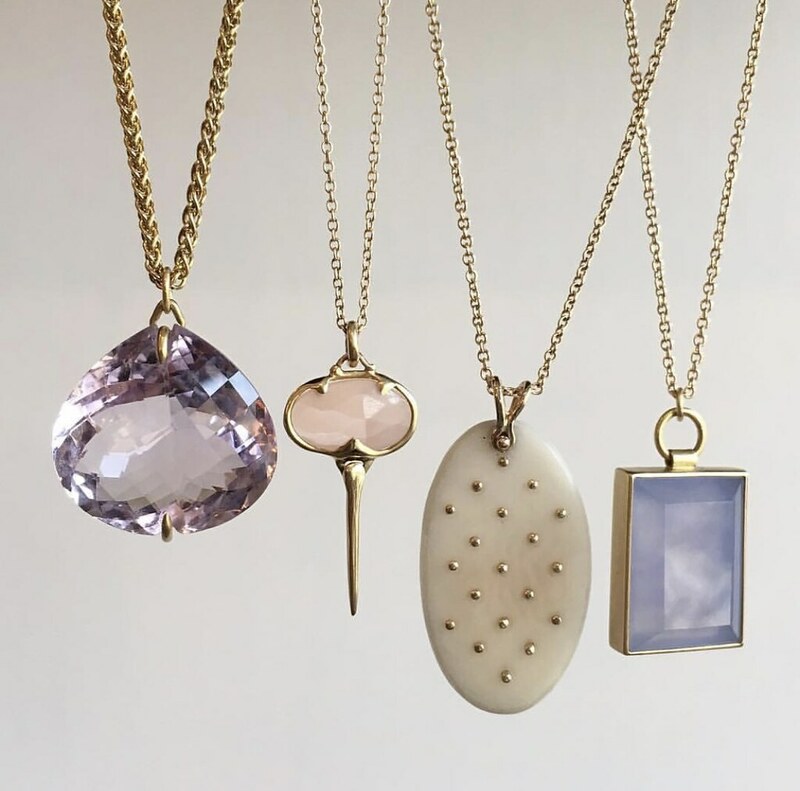 I know for certain that pendants and necklaces were always my least favorite when I first started getting into jewelry. All I could think of was rings! In fact, I owned several pendants I ended up converting into rings because I never really wore necklaces. Today, that is not the story! I’ve been pendant obsessed these past few months, more specifically, charms that are gemstone heavy. To my delight, there are so many designers out there catering to this look. I’ve been saving my favorites over the last few months and wanted to round them up over here on the blog for you all to see! Let me know what ones you love! 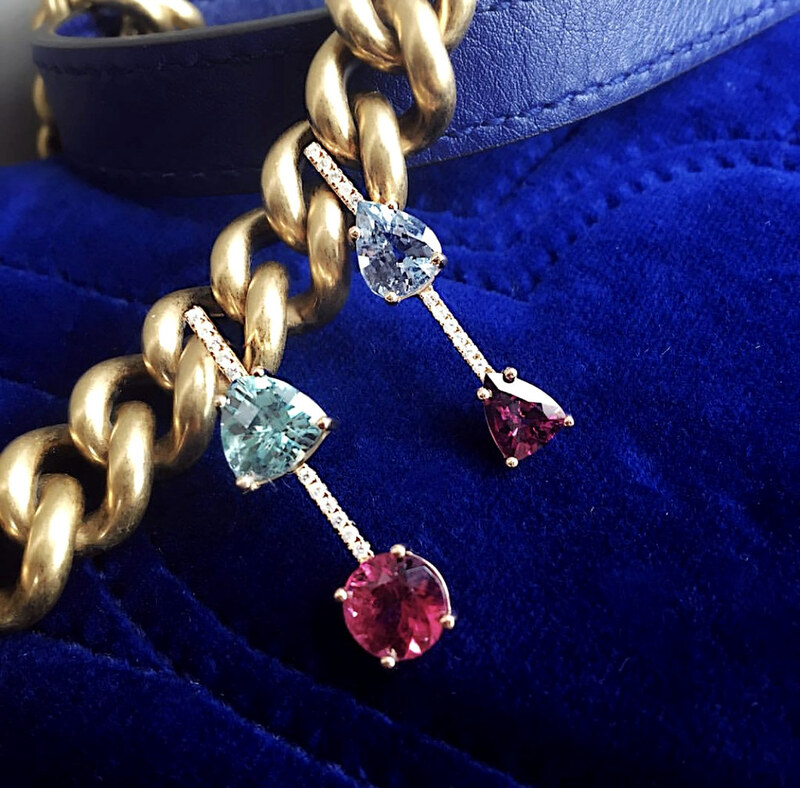 Loving this sweet trio from Mia Medak Jewelry — spinel firework brick, a bicolor tourmaline solitaire, and freshwater pearl. Screams summer and special talismans. 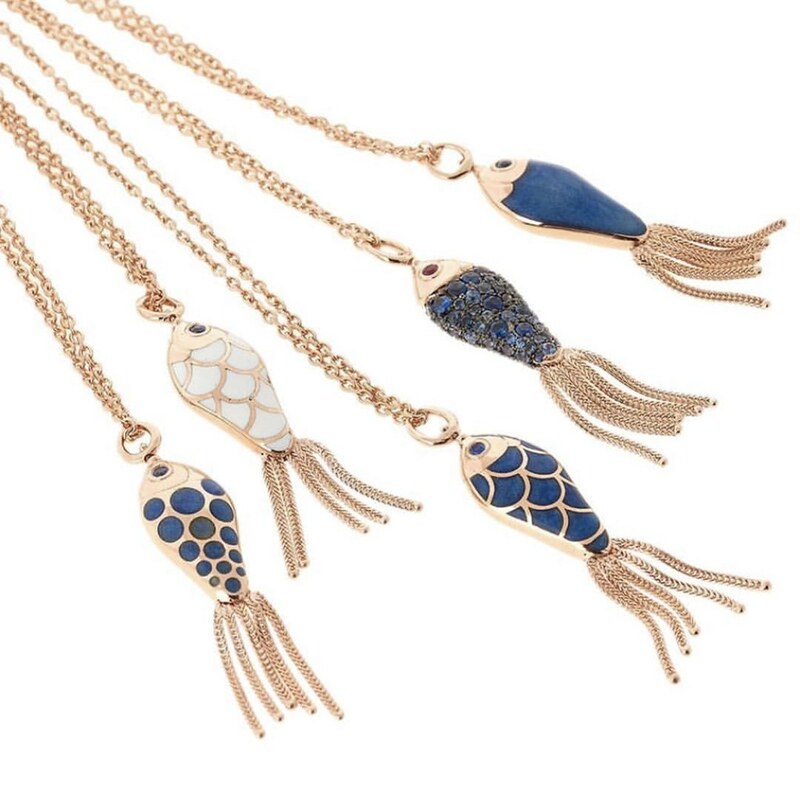 Omg I about lost it when I saw these new fish charms by Selim Mouzannar I love the different scale colors, done in both enamel and gemstones and the tassel tails!! So cute, I totally need one for my charm collection. 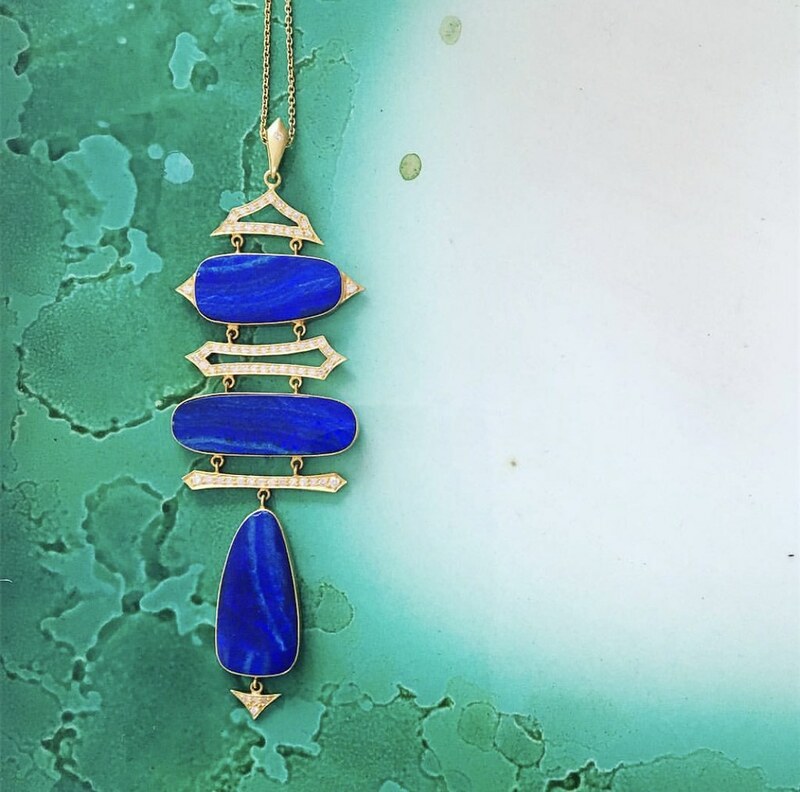 Loving this statement pendant by Lauren Harper Collection! These are opals with diamonds, simply gorgeous and super bold! 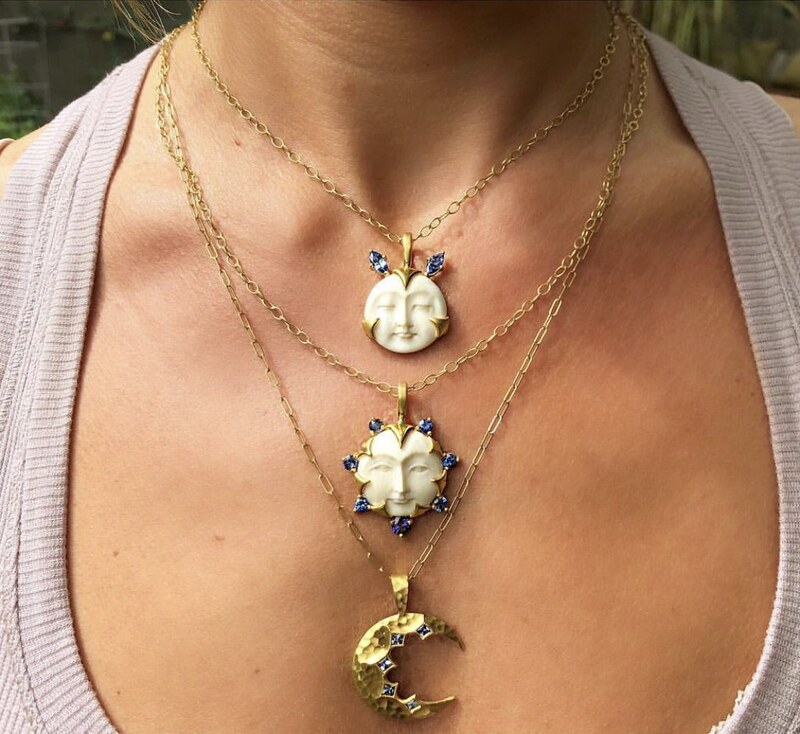 Cathy Waterman might be known for their wonderfully elegant engagement rings, but their new Moon Goddess pendants will have you swooning and adding them to your wish list asap! 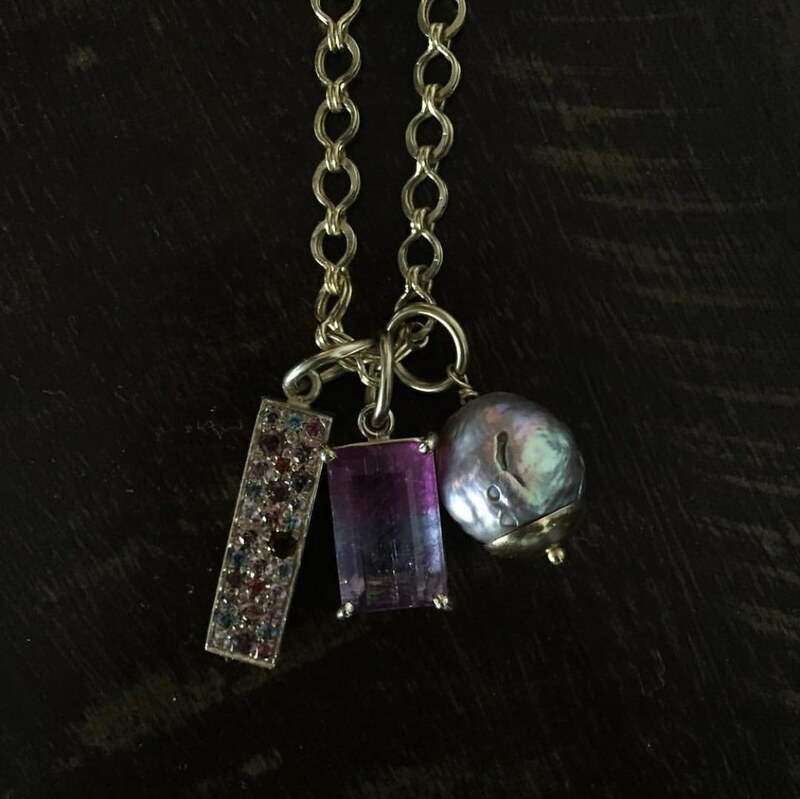 I believe these are earrings by Shawn Warren Jewelry, but I could easily see these being an elegant pendant worn on a long box chain. This is the perfect summer staple to wear on vacation! 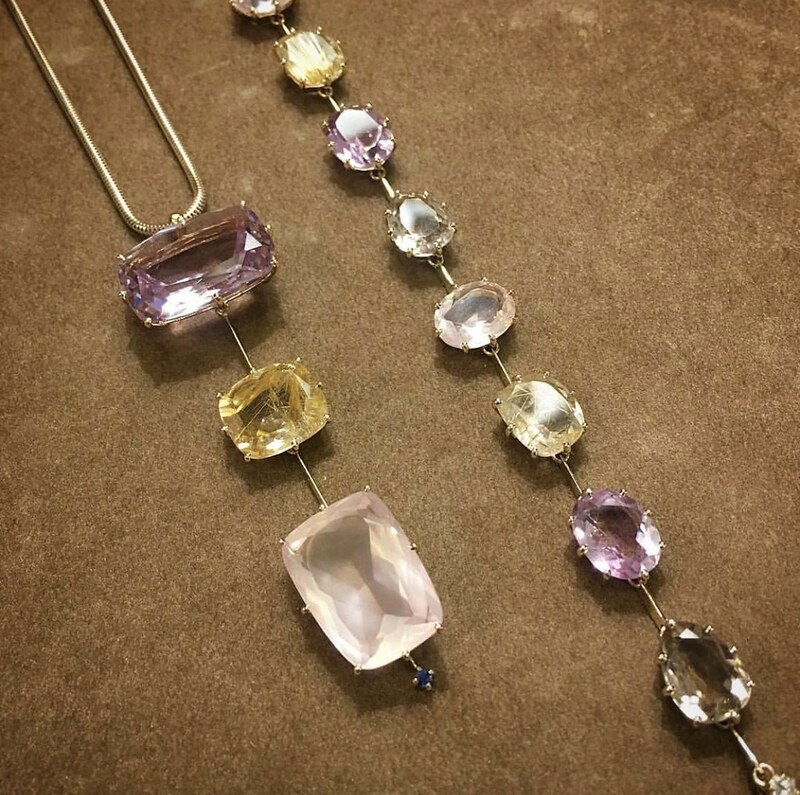 These multi-gem pieces from Camilla Dietz Bergeron Ltd. are every pastel lovers dream! I love the silhouette of this pendant — the claw-like prongs and the sliver of gold in between. So good. 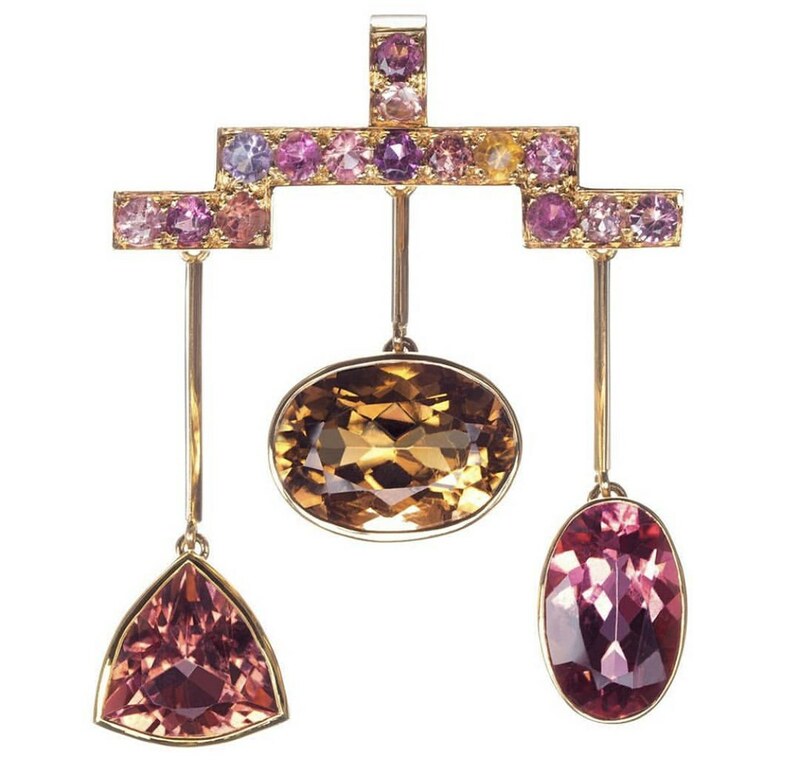 When I saw this pendant from Soli Gems, my mouth immediately dropped! From the colors, to the layout and everything in between, I absolutely adore it! The gems are Madagascar tourmalines. I admire Brooke Gregson‘s work so, so much. When she comes up with new designs, they are always fun and ground-breaking. 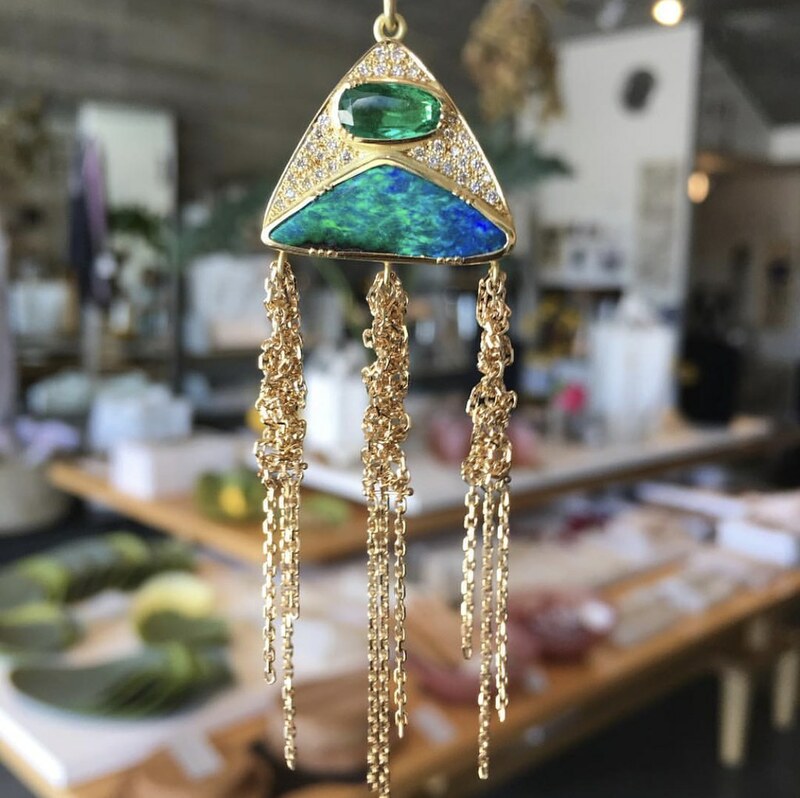 This pendant is so fun — it reminds me of something a mermaid would wear. 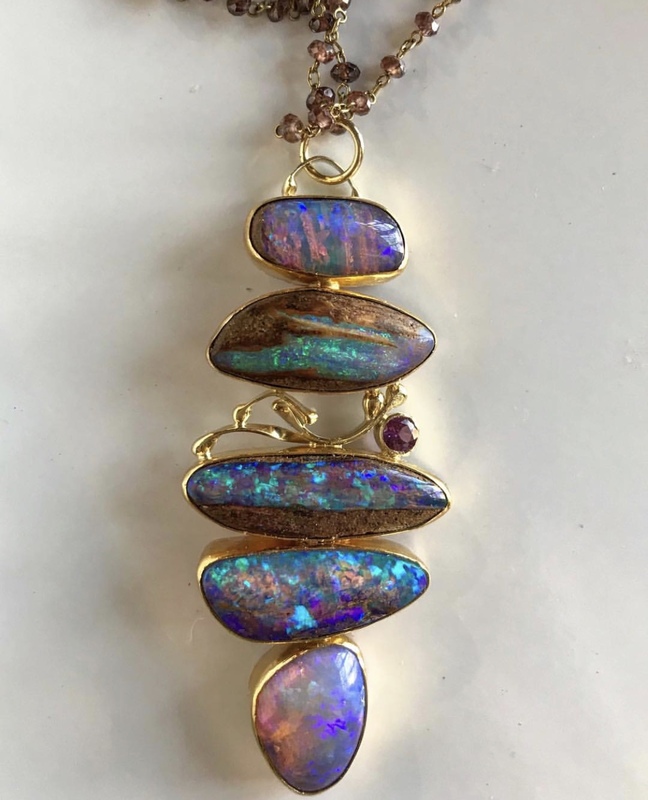 Nothing gets me more than opals — this handmade pendant from Jennifer Kalled Jewelry is such a fun piece because each opal is stunning in its own right, but all of them together makes for a dream piece. They also have a similar play-of-color so the whole pendant works. 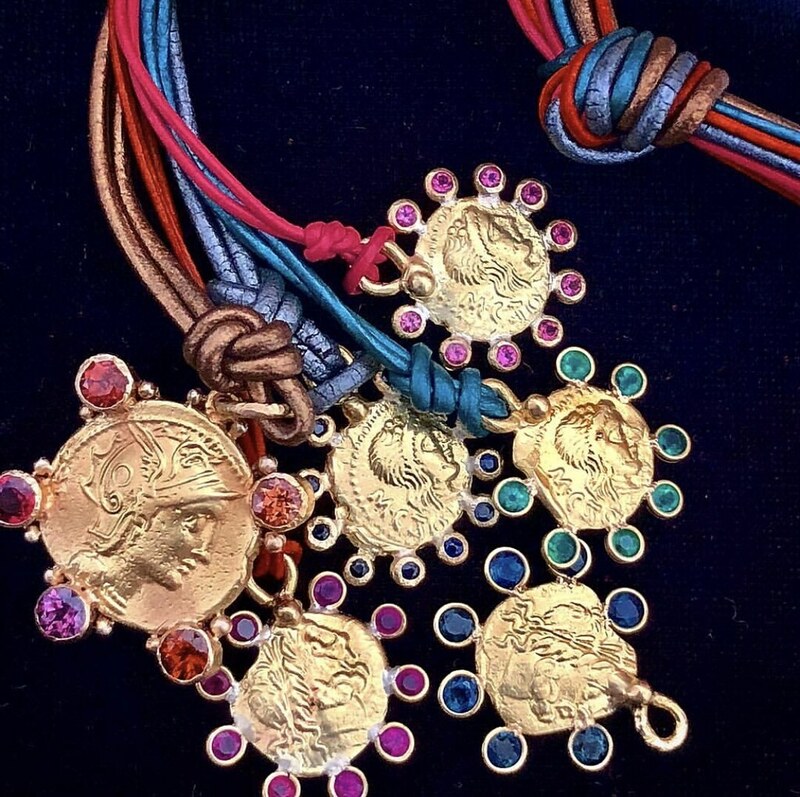 Love a good ancient coin pendant and these are especially beautiful — from Maison CoCo. 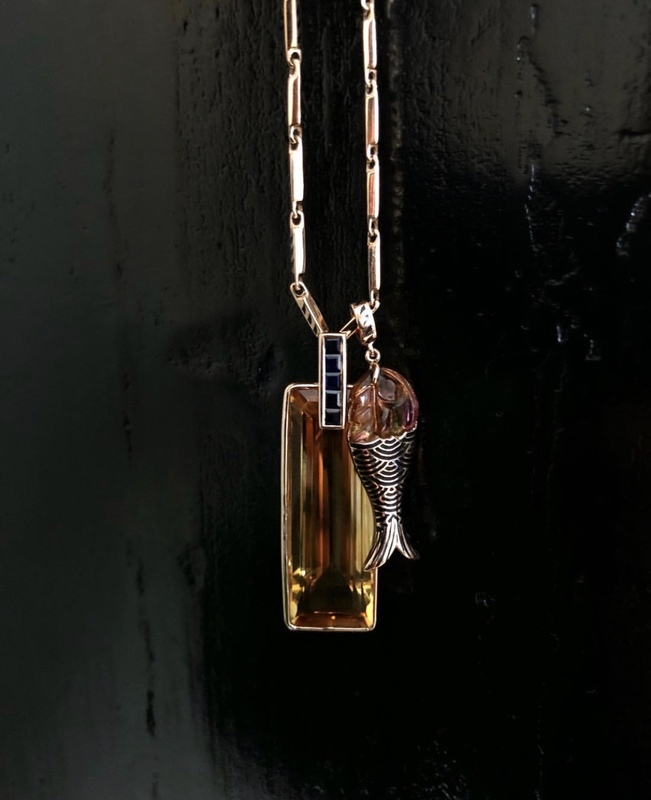 I must have a thing for fish, but I also love this pairing of a fish and large rectangular citrine from Sara Beltran. I love how the fish has unique enameled scales and carved gemstone head. Ok, another to add to my wish list! Want more obsessions? Click here to read more posts. Where is the pink pear gemstone in the bezel from?